Basant panchmi in India, Importance of vasant panchmi celebration, What to do for success in life? As per hindu panchang the 5th day of magh shukl paksh is celebrated as Basant panchmi or Vasant panchmi. This is a very important festival for Indians because this is the sign of a very good season in which every one enjoy every moments of life. On this day goddess Saraswati is worshipped mainly, goddess saraswati is related with knowledge, studies and therefore very important for students. It is beleived that goddess saraswati was born on this day and so this is the birthday celebration of maa saraswati. Goddess bless devotees with knowledge to get success in this world. In this season we can see the fields are full of yellow color because of mustard crops and every one like to watch these fields. Devotees offer yellow flowers to goddess. Yellow dishes are prepared for bhoga like khichdi. Sweet rice is also cooked for goddess. Special pooja is formed in schools by teachers and students both on the birth day of maa saraswati. Yellow is the color of creativity, knowledge, spirituality and therefore on this auspicious day environment will be yellowish everywhere. Spring season is one of the best season to enjoy full day with fun and masti because this season is neither too hot nor too cold, at this time plants and trees are blossom with new leaves, flowers and fresh fruits and so environment is full of freshness. Now a children are not taught about the significance of this day which is not good for us. 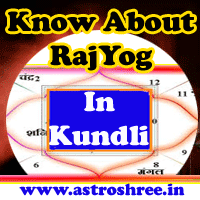 Do give the knowledge of every celebrations because there is importance of every pooja and day as per indina scriptures. There is a science behind every celebrations in India. How To Perform Simple Pooja on Vasant Panchmi? Getup early in the morning and free from daily routine. Wear yellow cloth and sit on yellow asan. Offer bhog of yellow food and sweets. Chant any saraswati mantra for sometime. Pray to goddess to bless you with knowledge and success. Eat yellow food and sweets, take blessings of teachers and elders. Enhance your life with lot of confidence, knowledge, enthusiasm and success in studies by worshipping goddess saraswati. 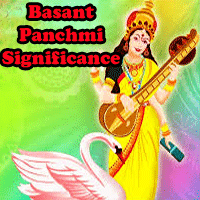 Basant panchmi in India, Importance of vasant panchmi celebration, What to do for success in life?.